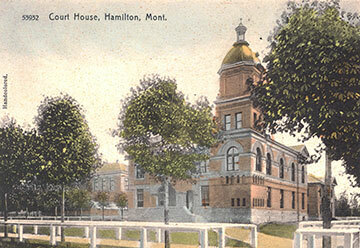 The Ravalli County Museum, located in Hamilton, Montana, houses many unique and rare historical collections from our Native American heritage and establishment of Montana’s first white settlement in the heart of Ravalli County. The Ravalli County Museum is uniquely situated in the Bitter Root Valley at a confluence of three historic and nationally recognized trails. The Ice Age Floods National Geologic Trail, the Nee-Me-Poo National Historic Trail and the Lewis and Clark National Historic Trail. This summer begins our journey and discovery of these three trails. 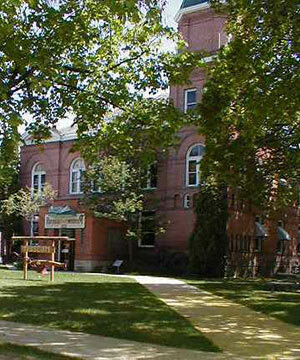 The Ravalli County Museum has a three tiered focus of art, local history and natural history. There are a total of twenty-eight galleries and chambers. Nine are exhibition rooms, with six permanent displays that are created from the Museum’s extensive collections. We provide a cultural venue to enrich the experiences of our community through programming and educational opportunities for people of all ages. The Ravalli County Museum is the repository for historical information, artifacts and collections for all of Ravalli County. For more information, visit our About page. The mission of the Ravalli County Museum & Historical Society is to acquire, preserve, protect and interpret the historical and cultural heritage of the Bitter Root Valley and its people.